Students don’t let your favourite things burn! “With all the excitement and opportunity that university life brings, fire safety might not be at the top of your list of priorities,” said Community Safety Manager, Alan Gilson, of Devon & Somerset Fire & Rescue Service. 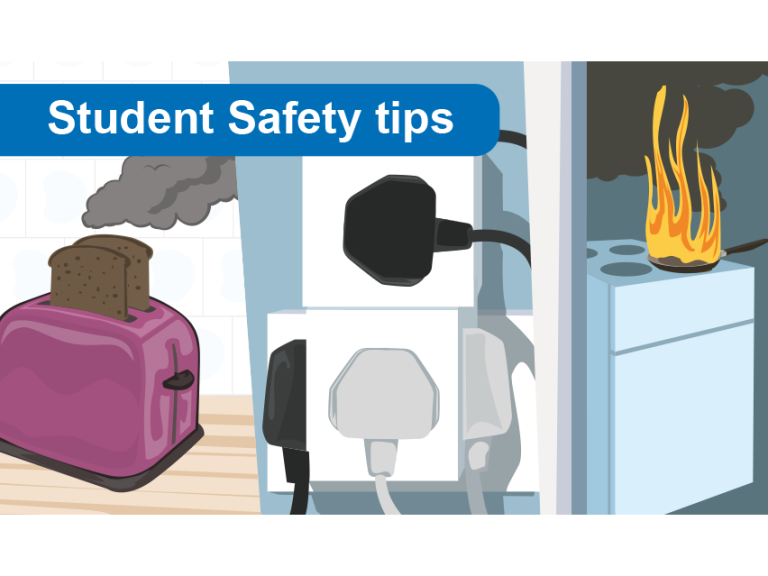 “However, in amongst all your studying and socialising, taking a few moments to think about your accommodation, how you use it and what you might do to reduce any fire risks. • Have an escape plan (not from homework!) so before going to bed close doors, know where the front door keys are, that sort of thing. Have a plan B in case your route is blocked. • Take extra care with cigarettes and smoking materials and never smoke in bed – when a cigarette is finished, put it out, right out!